Gecko Landmarks makes location based services relevant and interesting for the majority of the world population. We are a specialized Local Landmark data and application provider headquartered in Finland, operating world-wide. Jani Tirronen, CEO - is in charge of the commercialisation of the Landmarks and the Instant Location concept, together with the company’s investor relationships. Jani’s vision and the main objective is to bring location based services available for the next 5 billion through the global technology partnerships. He has over 15 years of experience in various global leadership and entrepreneurial roles within internet and mobile internet industries, including co-founding of two successful companies, and also major initiatives within large corporations such as location based applications program within Nokia. 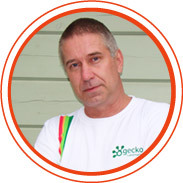 Pasi Riipinen, GEO - Founder of Gecko Landmarks and Tramigo. Over 20 years practical experience of successful geographical data development and business management in emerging countries. Pasi has already brought the landmarks concept into tracking and fleet management with Tramigo. With Gecko Landmarks, he is doing the same for mobile phones and internet based LBS services. Asmo Soinio, CTO - co-founder of Gecko Landmarks, over 15 years of experience with mobile and location technologies, focusing on software. Previously with Nokia and Tramigo. 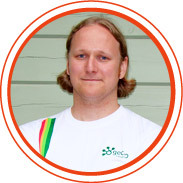 Father of three children, passionate about beautiful code, mobile apps, snowboarding, kiteboarding and disc golf.